Nylon Cable Tie Bundle Gun And Cable Fast Bundle Fastening and Cutting Tool. 9 In 1 Portable Pocket Outdoor Survival Stainless Steel Multi Tool Mini Plier. Lip Care Serum Plumper Lip Mask Increase Elasticity Reduce Fine Lines Lip Repair. Cute fashion travel suitcase lauggage box for dolls accessories. 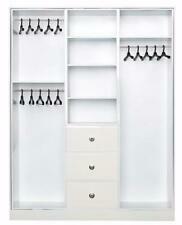 - A good furniture for Barbie sized dollhouse, also a good item for collection. 1 Doll Luggage Box. - Color: Pink. - Material: Plastic. 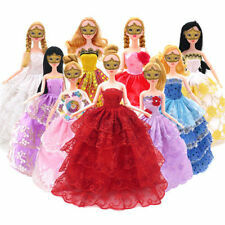 Pink Party Dresses High Quality Long Tail Evening Gown Clothes For Barbie Doll Wedding Dress Veil 1:6 Doll Accessories. Dress and veil only, dolls are NOT included. 1979 Pleasant dreams Fashion Favorite for Barbie. Blue and white peignoir with gown/robe. Fun set to add to your collection. This is part of the Ruth Cronk Collection, Ruth was a collector for over 45 years and was one of the founders of the National Barbie doll convention. Findings and Tools. Doll Accessories. Ribbon, Cords. - Great as an addition to your doll or to play on its own. Baby Children Supplies. 20x Glasses for fashion Doll. CLOTHING,ACCESSORIES. - Color: Black. And this bed can make the dollhouse look very attractive and stylish. A really cute miniature bed, With shocking pillow. Beautiful flower pattern details, Very smart and sturdy, A great bed for Barbie doll. 1 set clothes for Barbie Doll., don't have doll and other. just 1 set clothes. We will work together with you to solve any problems. This miniature bed with shocking pillow looks really cute.Every little girl has a great interest in playing with doll houses. And this bed can make the dollhouse look very attractive and stylish.So take a look at this lovely barbie sized bed for your little angels. A really cute miniature bed, With shocking pillow. Beautiful flower pattern details, Very smart and sturdy, A great bed for Barbie doll. Package Includes: 1 x Bed Bed sheets pillow For Barbie Dolls Dollhouse Bed Size: (L x W) Approx 31 x 14.5cm Material: PlasticColor: color random Warning: Choking hazard Not suitable for children under 3 years old. Note:Light shooting and different displays may cause the color of the item in the picture a little different from the real thing.The measurement al. 100% Hand Made With High Quality By Eaki. Barbie, Model Muse, Silkstone, Fashion Royalty, Candi, Charice And. Evening wear Fashion Fit For. This item For Fashion Only. My newly designed Fashion, Jewelry and Crown are coming soon. 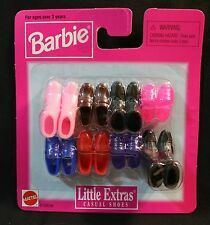 40pcs : Accessories for Barbie Doll (. Tks for looking! Feature： Good quality. ). Mix Style Mix Color Boyfriend shoes For Barbie Doll miniature accessories. Dolls are not Included, other accessories are not included. Accessories: shoes. Quantity:20pairs/lot (Random styles ! For age: 3 years old. ). Great as an addition to dollhouse or to play on its own. DOLLS,BEARS. 2 x Dollhouse Bicycle (Random Color). Dolls not included. Model Trains. People always bought together with. WARNING: CHOKING HAZARD – Small parts, not for children under 3 years. 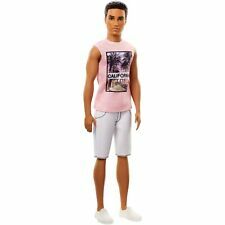 Fashion Casual Wear For Ken Doll Red T-Shirt Camouflage Shorts For Barbie's Boyfriend Ken Doll Prince Ken Male Doll Clothes. Fit for : for Ken Male Doll. Friend of Stacie boy doll is ready for Art Class. This friend of Stacie doll paints a cool picture with accessories that include an art easel, three paint cans, a color palette, paintbrush and a cardboard art canvas with painting in progress. Featured is a large lot of Barbie PINK LABEL fashions with 3 1990's Glitter Hair Barbies! There are 2 redheads and a Blonde. One redhead has had her hair cut. The middle redhead has all of her jewelry. Fit for : Barbie Doll/ Jenny Doll / Kurhn Doll / Silkstone Barbie Doll / Momoko Doll / Blythe Doll / Pullip Doll / Kurhn Doll (11.5"-12"doll/29cm-30cm doll). Color : As picture shows. 100% new and Mix Sorts. 10 Pcs Doll Dress. Material:Cloth,lace. Quantity:10 Pcs. Fashion style and easy to wear. You can follow below process to chontact us. Size(on average) Nice and lovely gift for your little girl. All pictures are for illustration purpose only and Colours may vary slightly. 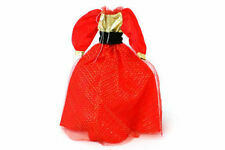 Description： Perfect fit for Barbie & other 30cm/11.5" dolls XMAS GIFT & Christmas Gift. Dresses are made of satin, lace, silk, and tulle. (The dress with lace don't go all around) All clothes are handmade and good quality,100% Brand new. A great gift for your children ,your friends and yourself. Package includes: 5 PCS Swimwear 5 pairs Shoes for Barbie doll Ramdon Style. 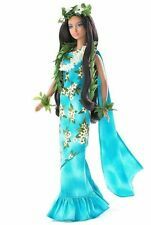 (Doll and Accessories not included,only the Clothes) NOTICE: that all items are made for and all by ZITA ELEMENT Doll Closet, they are made to fit the popular Barbie Doll products. We are not affiliated with Mattel, we are not implying in any way that these items are associated with Mattel. 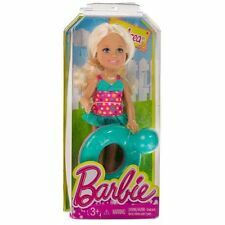 We simply just offer great products to complement the Barbie products. Barbie is the trade-mark of Mattel. ( The Ken doll and shoes are not included ). This clothes fits with :Made for 12" dolls, they will fit for Ken. Your understanding is appreciate. All problem can be solved with good communication. Fur Coat leggings Boots or Barbie Doll. ,doll not included. NOte: just 1 set clothes.